Toyota camry has been the best selling mid-size sedan in Nigeria for the past few years, it has now become an household name for most car enthusiants in Nigeria. 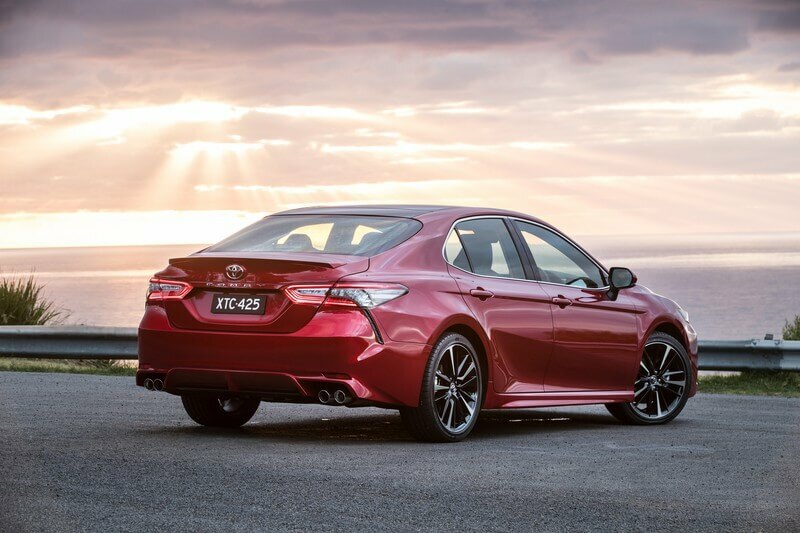 The 2018 Toyota camry is currently the latest camry from toyota, it looks pretty much longer, wider and lower than previous models. 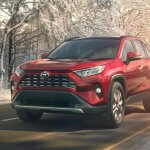 It comes with an improved design, performance, updated engine, more safety features, transmission and technology. 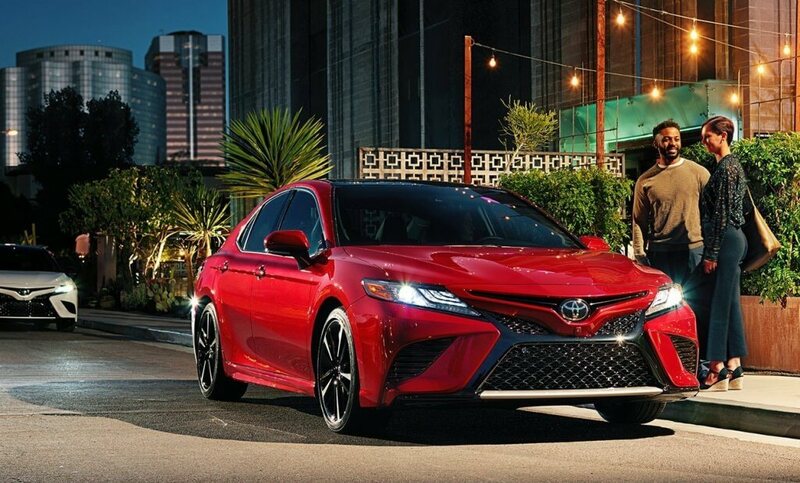 The 2018 toyota camry have been redesigned and cleaned up, all thanks to Toyota for implementing her new global architecture on the 2018 Toyota camry. This car currently has the best design i have seen on any toyota camry in Nigeria before. The rims and tyres were perfectly designed and cut out, the front, back, roof-top as well as the all round body apperance looks pretty awesome. 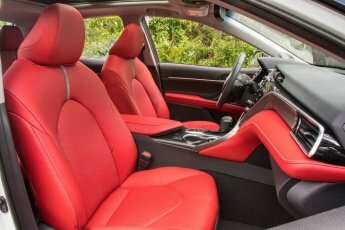 The interior design of the 2018 toyota camry was also given maximum attention. 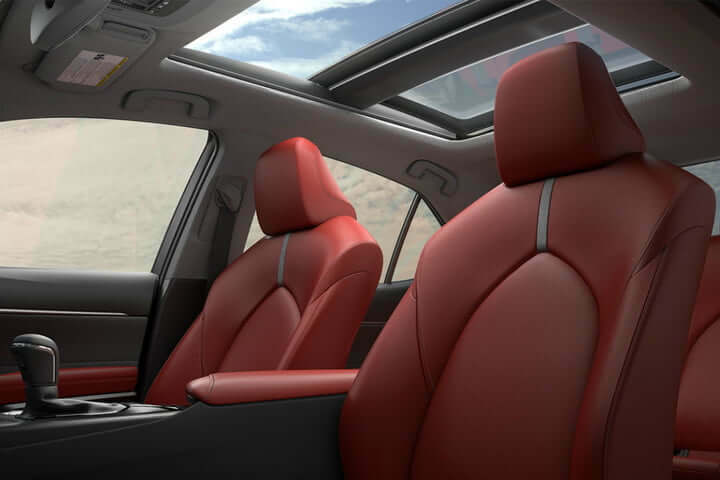 It has 5 conveniently positioned passenger leather seats ( 2 in front, 3 at the back ) and a small-size cargo space. 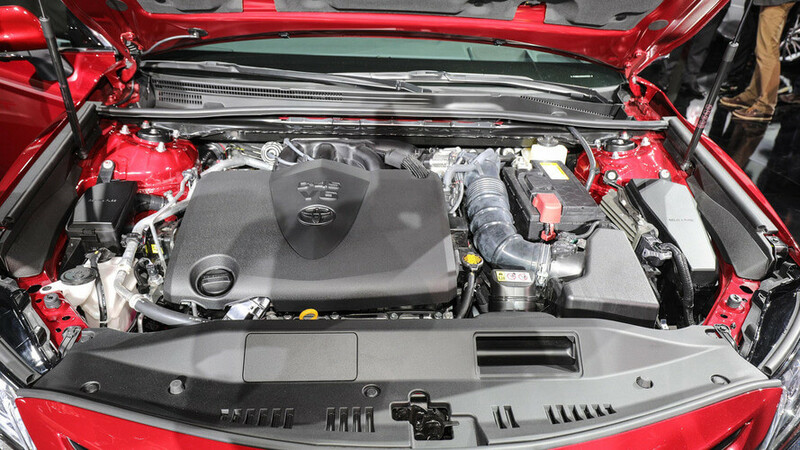 The 2018 toyota camry offers two optional engine: a 2.5-liter four-cylinder engine for the base version and a 3.5-liter V6 engine for the higher version. Both engines comes with 8-speed auto transmission. 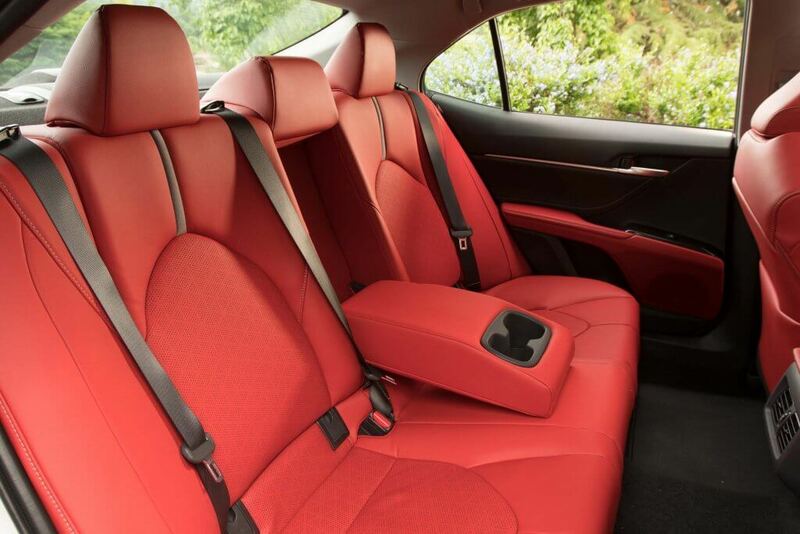 The 2018 toyota camry comes with alot of standard safety features like the toyota safety sense P, adaptive cruise control, auto high beams, lane departure warning with steering assist, pre-collision system with pedestrain detection and a rear camera with standard features like blind spot monitoring, head-up display, rear cross braking and traffic alert. Also available on the higher trims is the ultrasonic sensor which detect object in front or at the back of the vehicle. 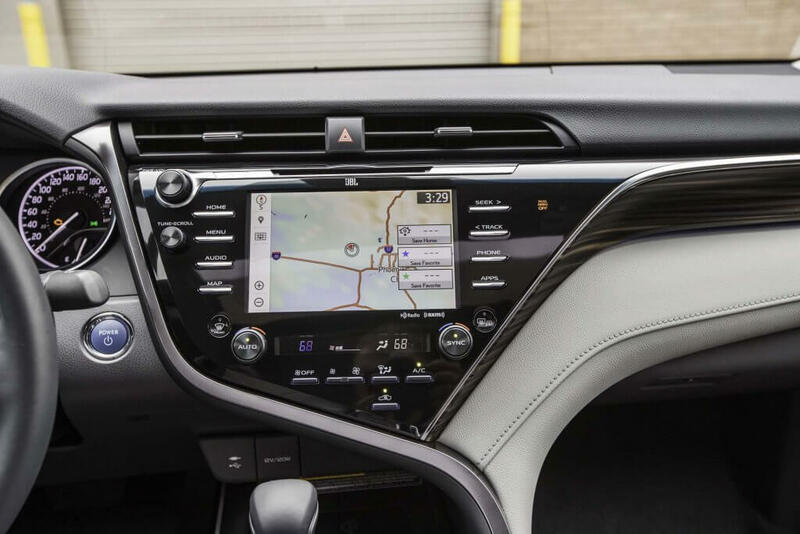 Beside the steering wheel of the 2018 Toyota camry is an entune system with 8.0 inch touchscreen and a 7inch TFT screen display within the guage cluster. 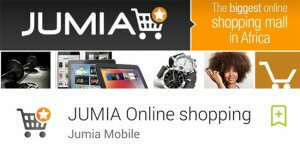 It has stereo, hands-free phone and navigation features. Also available on the entune system are USB-C ports, wireless charging, a service connect that send updated tech information to your phone and a remote connect that allow you to turn on the car as well as lock and unlock your door via your smartphone. There is also destination assist that can let you call someone who can send navigation route to the entune system. You can also access weather conditions, traffic situations and entune apps like pandora, slacker, scout GPS with moving maps and NPR one (new). 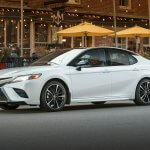 Toyota still refuse to integrate apple carplay or android auto no her entune system. Many toyota camry fans in Nigeria are likely not gonna find this appealing. As earlier said, the 2018 toyota camry comes in 5 different models: L, LE, SE, XLE and XSE. 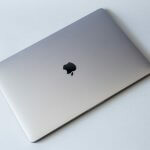 The XSE cost $29,885 which is about ₦10,879,000. The 2018 Toyota camry XLE with V6 engine cost $35,285 which is about ₦12,844,000. The XSE with V6 engine cost $35,835 which is about ₦13,044,000. The 2018 Toyota camry Hybrid LE cost $28,685 which is about ₦10,442,000. The Hybrid SE cost $30,385 which is about ₦11,061,000. The Hybrid XLE cost $33,135 which is about ₦12,062,000. Do you have 2018 xle 3.5 litres v6 engine model. I presently live in Benue state. Hello sir, we currently do not sell cars.